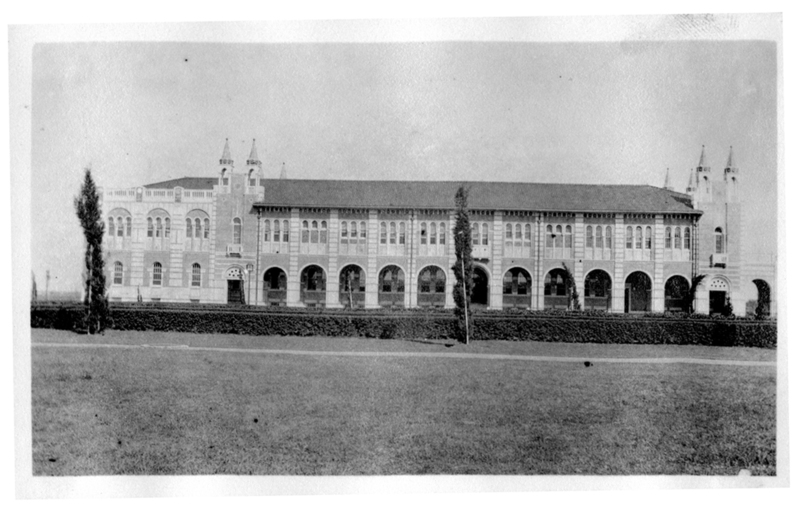 This is an early shot of the Physics Building. I can tell from the state of the landscaping and from where I found it (Elmer Shutts’s scrapbook) that it was taken from about 1915 to 1916. 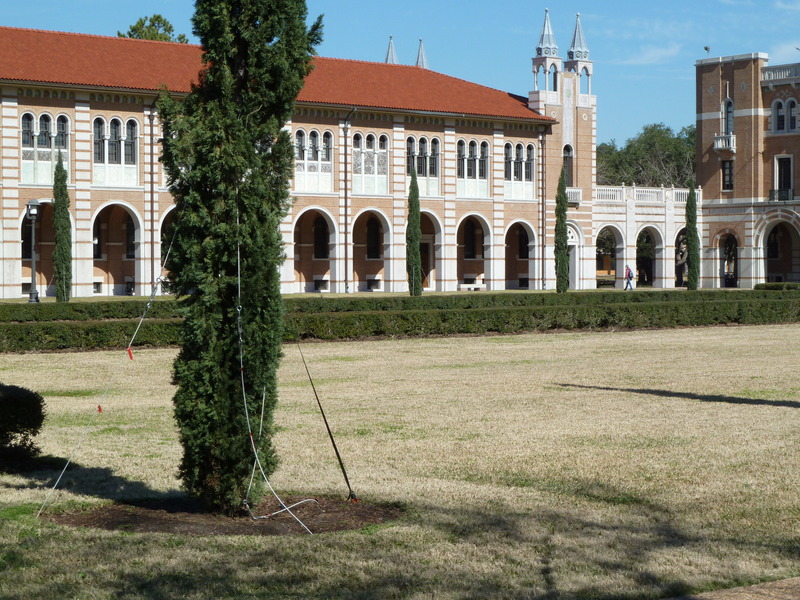 Note, if you will, the rather forlorn cypress trees held up by some sort of stakes. I know that these trees were planted a couple of years earlier, because I can see them in this picture of the Physics Building going up. 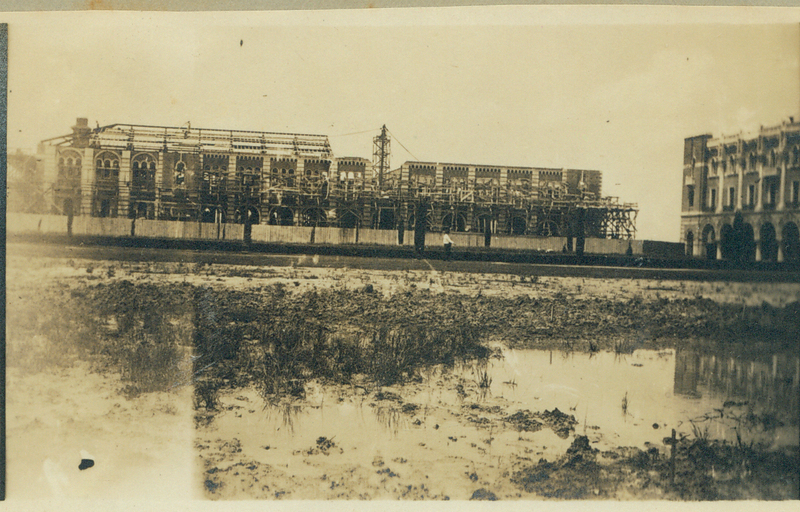 I’d give this photo a ballpark date of mid to late 1913, based on the state of construction. (That’s really glorious mud, isn’t it?) So it only took a couple of years before those Italian cypresses began listing to one side. Here is a picture I took on my way to the Faculty Club for lunch today.